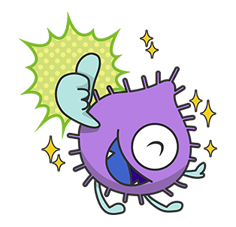 http://www.line-stickers.com/ – MUSE Line Sticker | Your favorite germ bags from the commercials are here in a new sticker set! Friend the Yakuyou Sekken Muse official account to get them. Available till December 15, 2014.